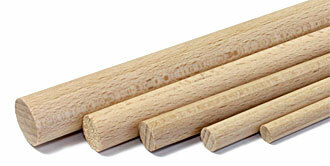 Ideal whenever you need wooden dowels in lengths that are not commercially available. Simply cut off to the required length! Round stock has many uses, whether for making children’s toys or using as a wood connection instead of a grooved dowel.